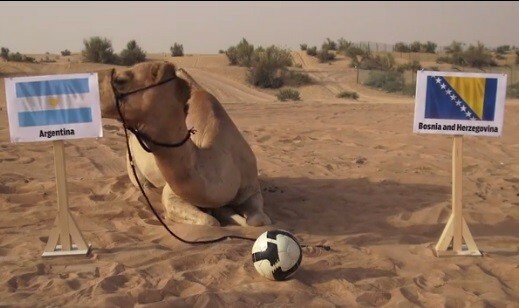 ‘Worldcup Predicting Camel’ Says, Argentina will! In last football worldcup, ‘Oracle Octopus’ was the super hero. Predicting the winners of 11 matches(out of 13). Lot of people trying to get the global fame, this time a camel named Shaheen from gulf. Argentina-Bosnia Match, What’s Shaheen’s choice.